This week's call to adventure was to focus on the qualities that point to the essence of a room, a place or an event. I chose to take photographs during the Sunday morning meeting at church. 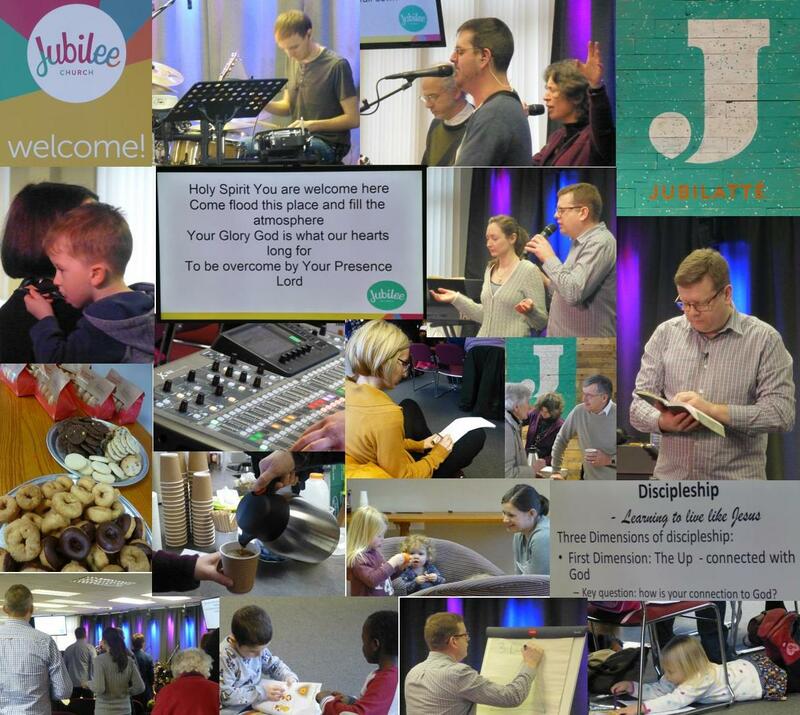 I put some of the photos into a collage and I really hope it captures the essence of my church. The theme for this week has been about the strength of small things. We were challenged to photograph small things that show their strength or their importance to us. I knew immediately when I read the challenge that I would take this photo. My passport is my most important document - it allows me to travel anywhere in the world and as we don't have ID cards in the UK, it is my foremost form of identifcation. These 3 pairs of scissors are the smallest I own but they are probably the sharpest blades in my collection of scissors. A pencil sharpener is a very small item but its strength lies in sharpening pencils and crayons which launches us into creativity of various kinds. I took a photograph of the word strength in the dictionary. Words are really powerful but they look really small written down. My phone is small-ish! But it is powerful. It links me to my friends and family - especially Andy, Naomi & Crusoe 12,000 miles away. A spoonful of instant coffee. Enough said! My contact lens case and solutions. These are vital to my being able to see clearly. And a small toy truck that Crusoe left behind when they left after Christmas. It sits on my desk next to the computer so I can see it and be reminded of their visit. What small things pack a punch in your life? Last week, as I mentioned in my last post, we went to see snowdrops. We went somewhere new: Evenley Wood. It's near Brackley in Northamptonshire. We have been to snowdrop gardens before where you walk through a smallish carpet of snowdrops but this time there was 60 acres of woodlands to meander through. The snowdrops appeared in drifts every now and again. I was initially disappointed but after about 10 minutes began to enjoy the variety of woodland and snowdrops. I think we were about a week too early to see the snowdrops in their splendour. And yet there were daffodils almost ready to flower. There were also tiny cyclamen dotted around. They were about 3 inches tall. I was trying to get the raindrops on the branches. Having decided we will have to go back in May to see the Azaleas and the end of September to see the Autumn leaves we went to have lunch. Roger found this excellent pub by the side of the Oxford Canal. It's been a bit dark and miserable here in the Midlands and I haven't got out and about much. As a consequence the calls to adventure 3 & 4 didn't get done in the weeks they were allocated to. #calltoadventure3 challenged us to be open to what photographs came to us: Let go and surrender to life as it happens. Not much happened although I did tidy my craft space. This was the only photo I took that I considered fitted the brief. I saw this sunrise from the kitchen window. #calltoadventure 4 suggested going out for a walk with no destination in mind and no expectations of the photos you will take. I didn't go out anywhere so didn't work with this but instead combined it with #calltoadventure5. We went to Evenley Wood to see the snowdrops - so already knowing that there would be snowdrops to photograph which hardly fitted the #4 brief. However I just followed wherever Roger led through the 60 acre woodland. I'll share most of the photos from there on Monday. However here are one or two to be going on with! #calltoadventure5 was to try something that we would normally shy away from. I will always wait patiently, and sometimes impatiently, for people to move out of the way so that I can take a photo. So I tried taking photos with people whilst we were walking round the wood. Admittedly I was snatching shots of these people rather than making a study of them. I also tried some in black and white. Come back on Monday to see my snowdrops in colour. So January came and went and it's February already. Ali Edwards sent out a new prompt for February for One Little Word. I decided I would look back at January and see how well I had done with my word. I included one photo from each of the two weeks I've done from Adventures in Seeing. I wrote about these here and here. I also thought I'd work out who I had conected with in real life - as opposed to online - and discovered all these connections. This was really interesting as I often think that I don't spend time with people other than on Facebook and through emails. Quite eye-opening really! So, on to February. Ali has suggested we all practice one small thing each day and record our progress. My choice (getting dressed straight after breakfast) might not seem much to you but it's quite a biggie for me. When I was working I could get up at 6.55am and be out of the house an hour later. These days it can be as late as 11 o'clock before I get dressed and much of the hours after breakfast are spent in PJs and dressing gown sitting at the computer. Sometimes I work but mostly it's Facebook and Pinterest. I didn't set myself the challenge of reducing computer time but interestingly in the days that I've got dressed I have found I have spent less time on the computer. A win-win really. Hopefully it will become a proper habit not just something I do for February.